Time to sell your Lei lani condo? Read about today's resort-market buyer. Lei Lani Tower condominiums are located just east of the Perdido Pass Bridge in Orange Beach, Alabama. 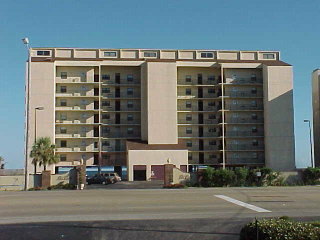 Built in 1984, this complex offers units both directly on the beach or across the street, offering access to Ole River. The gulf-front, eight-story, concrete tower offers one-, two-, and three-bedroom units ranging from 600-1250 square feet. Each of the floor plans is spacious and offers direct gulf-front views. On the river side, each of the buildings are two-story wood structures. There is a water-front outdoor pool, fishing pier, barbeque area, and on-site management. (Note: there is also an indoor pool in the main gulf front tower). Lei Lani offers a great location on one of the pretties stretches of Orange Beach. Located on the east side of Perdido Pass, the Gulf of Mexico waters are especially clear with the attractive blue-green hue that characterized the Gulf Coast! In addition, this location is within walking distance to the legendary Flora-Bama bar! (This could be one of Gulf Shores/Orange Beach's oldest and most well-known landmarks! It hosts such events as music festivals and the Mullet Toss.) Please let us know if you would like further info for Lei Lani or any other condos, homes, or real estate along the Gulf Coast or would like to schedule a private viewing by emailing info@condoinvestment.com or by calling (251) Area-Pro (251-273-2776) for immediate assistance. Read our RENTAL TIPS to maximize your Lei Lani rental revenue. Find revenue data for Lei Lani and other Orange Beach condos by visiting our Alabama Gulf Coast Condo Revenues page. Listing information last updated on April 22nd, 2019 at 3:17pm CDT.